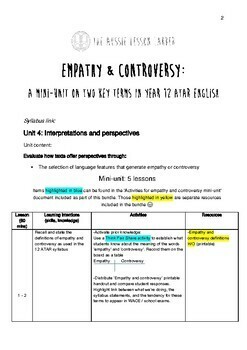 Unit 4 has hidden away within it one single, deceptively innocuous unit content statement relating to engagement with two important phrases - 'empathy' and 'controversy'. 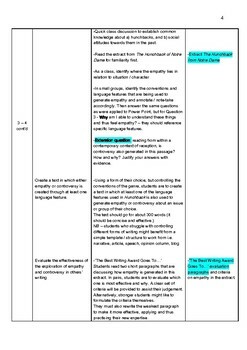 These phrases seem straightforward on the surface but are, in actual fact, very complex, not just in terms of their meanings but also how students might articulate them when it comes to writing about the texts they are studying. Ever examination since the inception of WACE in 2016 has included reference to one or both of these phrases, and from many markers' perspectives, they continue to be HIGHLY problematic. 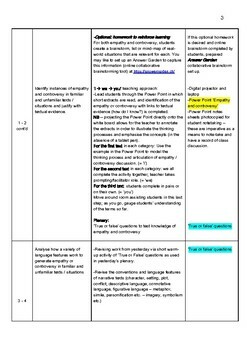 This resource is a five-lesson mini-programme designed to help your students come to terms with these terms. 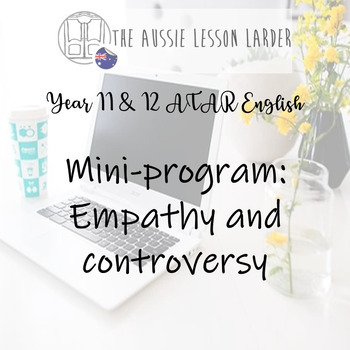 It is designed to be used in conjunction with two other resources in The Aussie Lesson Larder - 'Activities for the empathy / controversy mini-program' and 'Formative assessment'. All three can be purchased as a bundle. Due to the popularity of empathy/controversy in exam questions - both WACE and school-based ones - it is worth taking your time in order to help students come to grips with these challenging words. This program will help!